Come celebrate St. Patrick’s Day in true Irish style by taking your marching band to Dublin to participate in the prestigious Dublin St. Patrick’s Day Parade on March 17, 2020 as well as the the Limerick International Band Parade and Competition held on March 15, 2020, in Limerick. Bands play a very important part in the St. Patrick’s Day Celebrations in Dublin and throughout the St. Patrick’s Festival itself. Bands from Ireland and around the world have thrilled audiences with their musical mastery and flair down through the years and we want you to be part of the future celebrations. The parade is attended by the President of Ireland and Lord Mayor of Dublin. The marching route is approximately 1.7 miles long and takes about 90 minutes to complete the parade route. The parade consists of marching bands, theatrical presentations and ceremonial elements. The parade is attended by over half a million people and viewed by millions of people all over the world. The Limerick International Band Parade and Competition is held on the Sunday closest to St. Patrick’s Day allowing your band to enjoy the festivities and participate in both the Dublin St. Patrick’s Day Parade and the Limerick International Band Parade and Competition. All participating international bands are highlighted in media releases and given a special welcome by the mayor and citizens of Limerick. The parade route is approximately .93 miles long down the main thoroughfare of O’Connell Street. 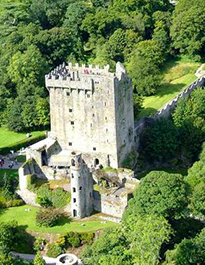 We have designed an itinerary that includes time in Limerick where you can explore much of Ireland’s scenic West Coast.